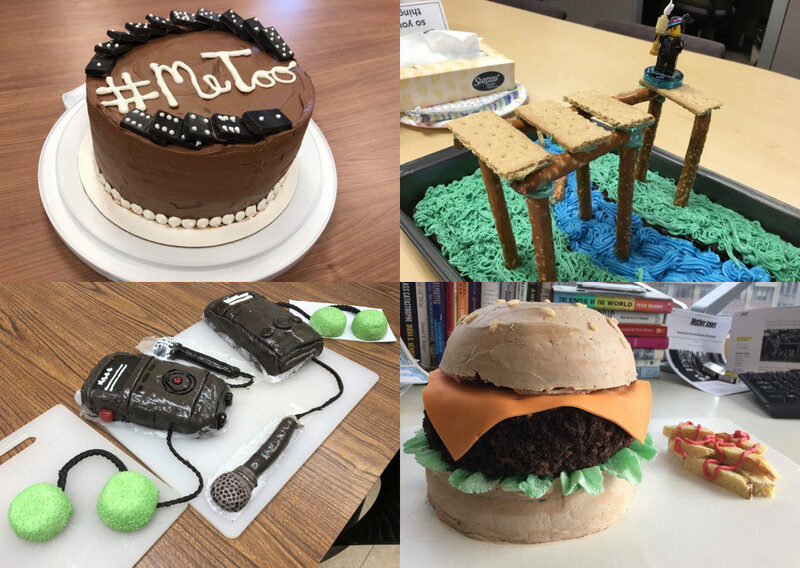 Four of the winning cakes in Public Radio Cake Week, clockwise from top: News Story of the Year, Barbara Brosher, WTIU/WFIU; Historic Event Depicted in Cake, Charity Nebbe, Iowa Public Radio; This Is Not a Cake, Karyn Miller-Medzon, WBUR; Stunning First-Time Baker, Brian Bull, KLCC. If you work in public radio, you might just be on a sugar detox right now. And no, that’s not a comment on the stereotypically healthy diets of public media staffers. And there’s no use having a surplus of cake if you have no utensils to eat it with. 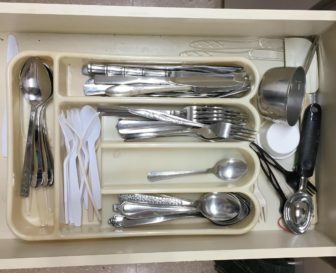 We hear from staffers at two public media stations who recently found themselves short of forks and spoons at their stations. They took to Twitter to complain and got packages from a little utensil fairy at NPR. On the last episode of “The Pub,” we talk with Lauren Ober of WAMU’s “The Big Listen” about the end of her show. I will point out that I bring a yogurt for lunch every day – and that is definitely a spoon event at lunch. I, however, bring a spoon daily and return the spoon to my house for cleaning (because I do not touch the sponge in our kitchen).